Beautiful, unique, and very large. I love it! 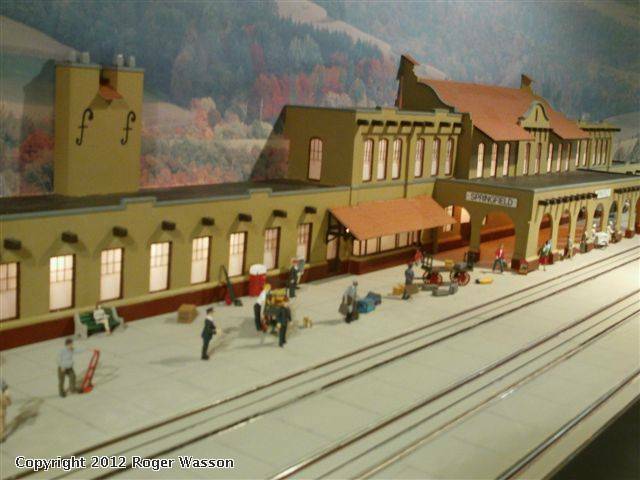 Is this modeled after a real station? How did you light it? I assume this is custom scratch built - how did you achieve the arches? HI John, and thanks for your good words of praise. The station is a little over 4 feet. 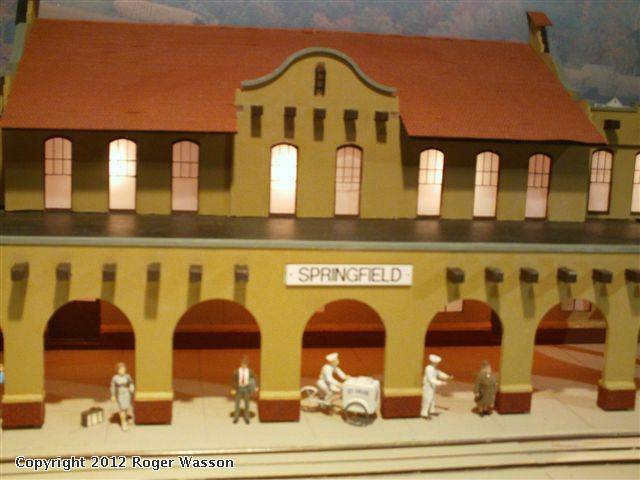 I got the blueprints of the Frisco station that was here in our town Springfield, MO. Then I found an architect student that was interning at an architecture firm here in town. He attends the local university where they have laser cutter and all of the tools to do models that architects do for clients when they are thinking about building a structure. He scanned in the blueprints and did most of the modeling from 1/8" and 3/16" 3 ply plywood. He did the front half of the station for me. The lights are just grain of wheat bulbs that installed at various places inside of the model. 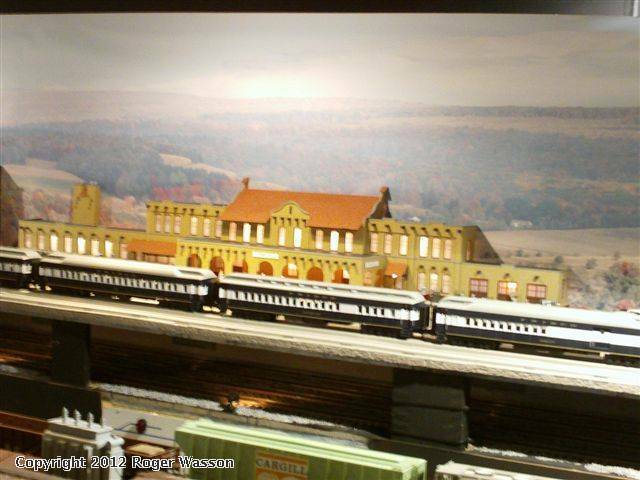 My father was head of the dining car department for the Frisco, so I spent many a day in this station...that is why I wanted this model to be perfect. 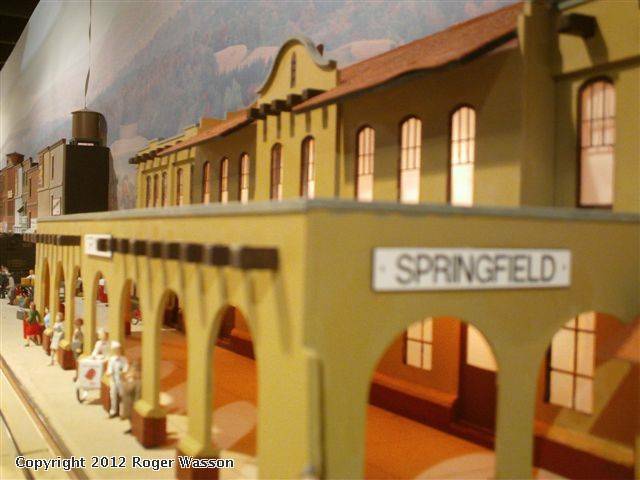 Roger...every time I see this station, I drool all over. It is simply beautiful and I know you are proud to have it on your great layout! !